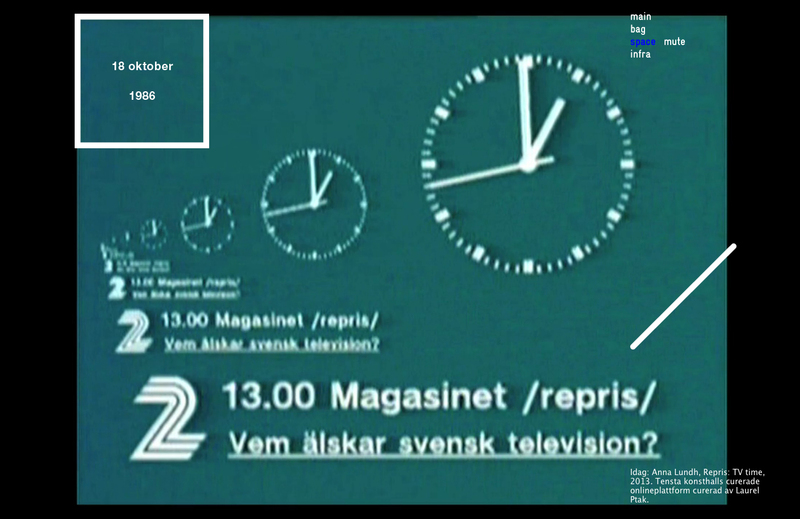 TV time consists of segments of broadcasts from the Swedish Television channels Kanal 1 and TV2. 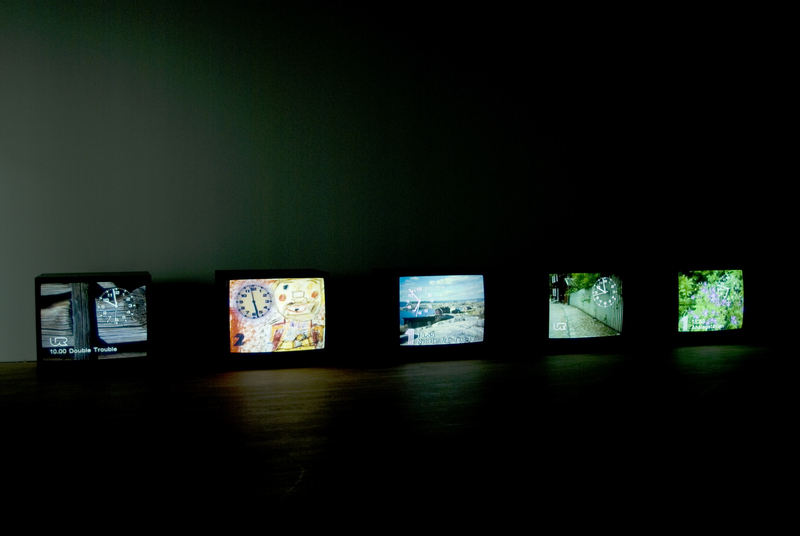 The selected clips span a decade, from the years 1983 to 1993. 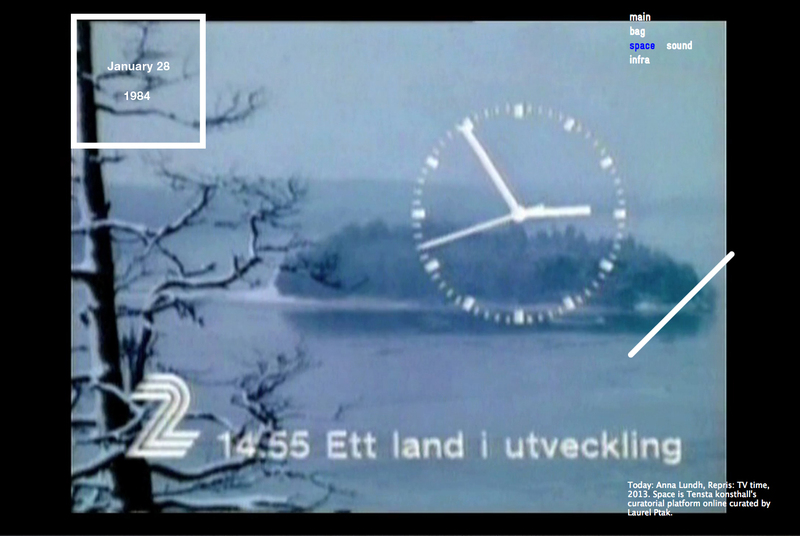 Everything broadcast on state television has since 1979 been recorded and archived, a recorded material that (as side effect) also includes the gaps—the “nothing”—in-between programs. 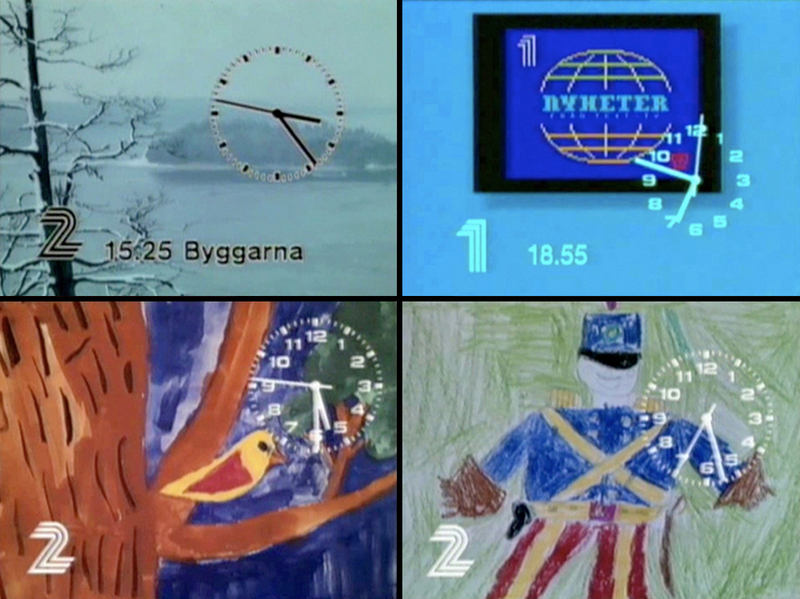 This “wait-time” has since been filled up with trailers or commercials, but during the analog tv-time of the ’80s and ’90s, it was represented by a ticking clock over a kid’s drawing or a scenic photograph. 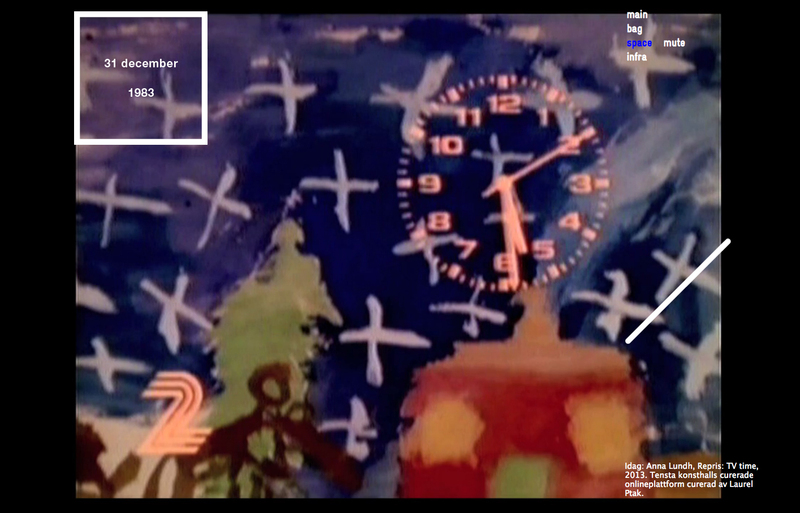 These dissected segments of recorded time are replayed and re-experienced in real time.